Fish sauce from Thailand is one of the most important spices in Thai cuisine and most often used ingredient when cooking Thai dishes. 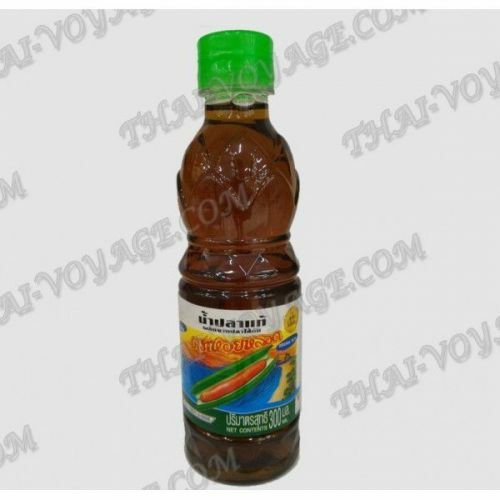 Thai fish sauce is a salty flavored transparent brown liquid made from anchovies. Fish sauce gives the dish the very unique Thai taste and aroma. 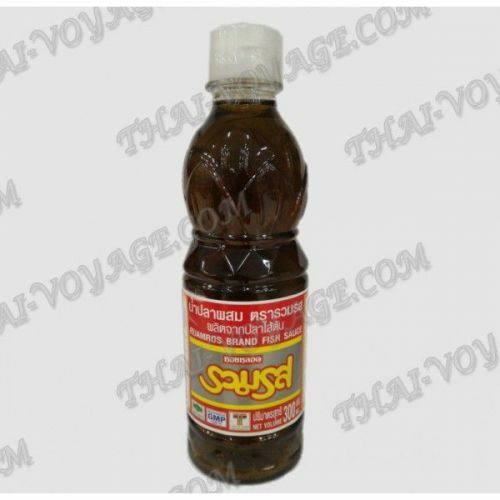 Fish sauce used in the preparation of almost all dishes of Thai cuisine soup Tom Yam Kung soup, Tom Kha Kai and Curry noodle dishes, Thai salad Som Tam green papaya and many others. Thai fish sauce has a very specific smell, but when added to a dish "spicy aroma" becomes invisible, the sauce is also perfectly emphasizes the taste and aroma of other ingredients. 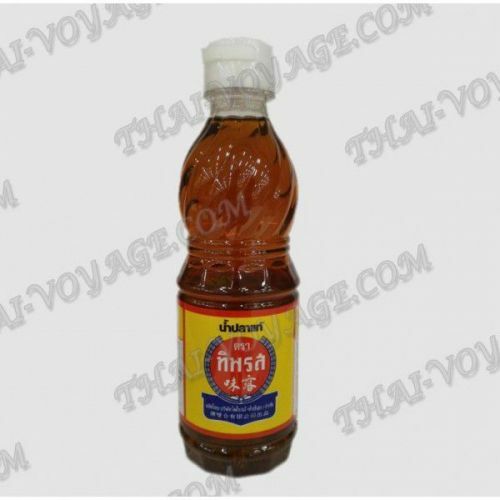 Natural fish sauce Nam Pla is rich in protein and B vitamins and calcium, phosphorus and iodine. No wonder Thai cuisine is considered one of the healthiest in the world. 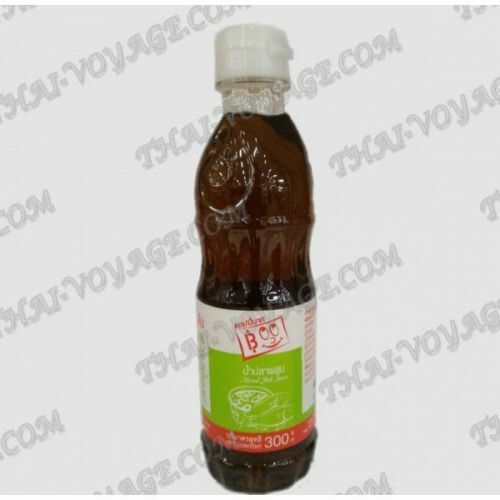 Ingredients: anchovy extract 65%, salt of 30.5%, sugar 4.5 percent. Contains no dyes, artificial additives (sodium glutamate).